TAIPEI, Dec 26 (Reuters) - A group of Chinese warships led by the country's sole aircraft carrier entered the top half of the South China Sea on Monday after passing south of Taiwan, the self-ruled island's Defence Ministry said of what China has termed a routine exercise. Taiwan's Defence Ministry said the carrier, accompanied by five vessels, passed southeast of the Pratas Islands, which are controlled by Taiwan, heading southwest. In a new show of force, China's first aircraft carrier and five other warships passed by Taiwan and sailed into the contested South China Sea on Monday, Taiwan's Defense Ministry reported Monday. 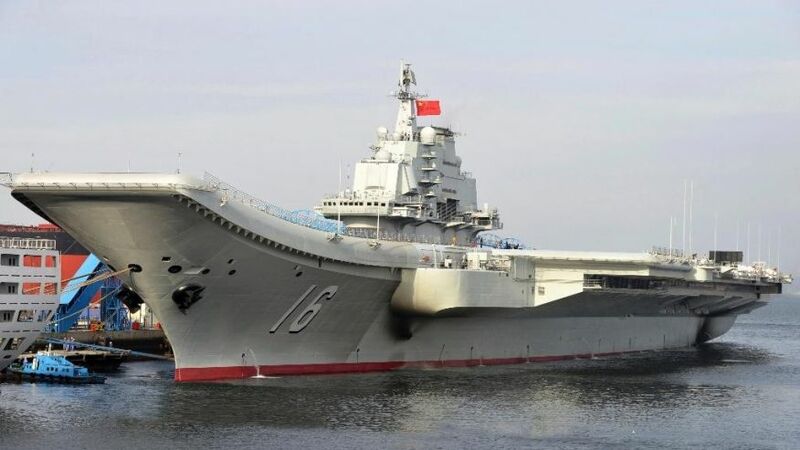 China's Defense Ministry said Saturday that the Liaoning carrier had set off for a routine open-sea exercise in the Western Pacific as part of its annual training. But its entering into the politically sensitive South China Sea follows rising tensions between Beijing and Taipei over the status of the self-ruled island. The ships, led by the Liaoning, sailed past the Pratas Islands, also known as the Dongsha Islands, a Taiwan-controlled atoll in the northern part of the South China Sea, according to Taiwan. The U.S. entered the spat earlier this month when President-elect Donald Trump spoke over the phone with Taiwan's leader, a breach of long-standing tradition. The U.S. severed diplomatic ties with the self-governing island in 1979 but has maintained close unofficial relations and a commitment to support its defense. "Interesting how the U.S. sells Taiwan billions of dollars of military equipment but I should not accept a congratulatory call," Trump tweeted. China's only aircraft carrier and five other warships sailed past Taiwan and into the contested South China Sea on Monday, Taiwan's Defense Ministry said. The Liaoning and five escorts sailed 20 nautical miles outside Taiwan's air defense identification zone (ADIZ) in the Bashi Channel between Taiwan and the Philippines before moving into the highly contested South China Sea, the defense ministry said. The move was seen as a show of strength amidst rising tensions between Beijing and Taipei over the status of the self-ruled island, but China's Defense Ministry said it was simply a routine open-sea exercise. China views self-ruling Taiwan as part of its territory awaiting unification - by force if necessary - even though the two sides split in 1949 after a civil war. Beijing says failing to endorse the one-China principle would destabilize relations. Taiwanese President Tsai Ing-wen, however, has refused to endorse Beijing's concept that Taiwan is a part of China. Tsai spoke to US President-elect Donald Trump earlier this month in a phone call that upended nearly 40 years of U.S. foreign policy and prompted a formal complaint from the Chinese government. On Monday, the Taiwanese ministry said Liaoning and the accompanying warships sailed 90 nautical miles south of Taiwan's southernmost point through the Bashi Channel. The ships then sailed southwest into the South China Sea, passing the Dongsha Islands, according to the ministry, which issued a statement saying the Taiwanese military was 'on guard' and 'fully monitoring the Liaoning'. The navy drills, the latest in a series of recent exercises staged by China, are seen as a show of strength by Beijing. But Hua Chunying, the Chinese Foreign Ministry spokesperson said the Liaoning was operating within international regulations. 'Our Liaoning should enjoy in accordance with the law freedom of navigation and overflight as set by international law, and we hope all sides can respect this right of China's,' she told a daily news briefing. 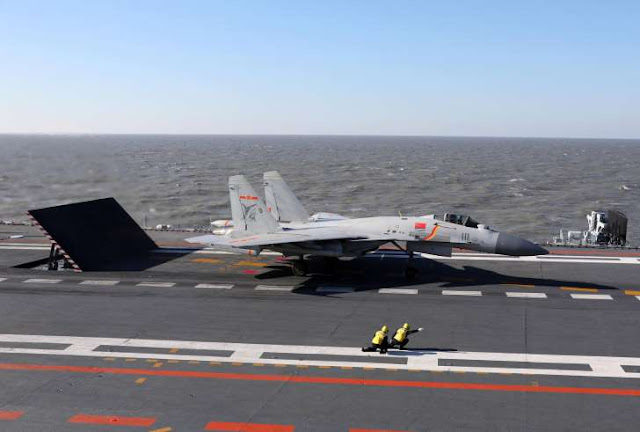 Influential state-run Chinese tabloid the Global Times said the exercise showed the carrier was improving its combat capabilities and that it should now sail even further. 0 Response to "Chinese carrier enters South China Sea amid renewed tension"